Updated information regarding the 2016 standard deduction has been posted. The IRS has announced new 2011 tax numbers regarding the standard deduction for single filers and for those married filing jointly, as well as the 2011 value of the personal and dependent deduction. By law, these standard tax numbers are adjusted for inflation each year. As a result, these tax deductions can increase or decrease depending upon how prices change. There was a small adjustment higher in most IRS tax numbers due to inflation. That means that most taxpayers should benefit from higher income limits and wider tax brackets than they had on their 2010 income taxes. Taxpayers must choose whether to itemize their deduction or take the standard deduction on their income taxes. For most taxpayers whose income comes primarily from a job as a regular employee, the decision about whether it is better to itemize or claim the standard deduction on income taxes comes down to how much mortgage interest they pay. Basically, if the mortgage interest deduction available is higher than the standard deduction amount, then itemizing makes sense. The new standard deduction amount for 2011 is $11,600 for married couples filing jointly. That is an increase in the standard deduction from 2010 of $200. The 2011 standard deduction for single filers is $5,800, up from $5,700 in 2010. 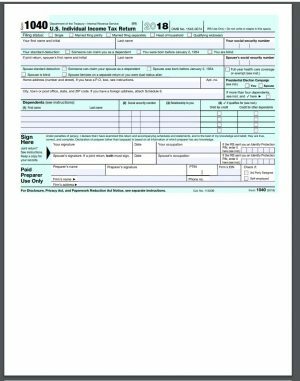 Those checkboxes on IRS Form 1040 that ask whether you are blind or over age 65 increase the standard tax deduction for each taxpayer. Blind people and senior citizens qualify for an extra $1,150 in their standard deduction for married filers and $1,450 for singles and heads of household. The income tax brackets for 2011 have also widened due to inflation adjustments. For example, the 15 percent tax bracket now goes up to $69,000 for married filing jointly, while the 15 percent tax bracket for single filers goes up to $34,500. The upper ends of each tax bracket are higher for 2011 because the brackets are adjusted for inflation each year. Like other tax numbers, the ceilings and maximum income limits for various tax deductions and tax credits in 2011 have been increased as well. Although most of the 2011 IRS Publication have not been finalized and posted online at irs.gov yet, many of these higher deduction limits have been published in other locations on the website. You can use the search box below to search IRS.gov for other tax forms or publications. When you file your income taxes, you have two choices for your deductions. You can either itemize your tax deductions, which means that you specifically account for all of your tax deductions, or you can take the standard deduction. The standard tax deduction is a number computed by the IRS each year. 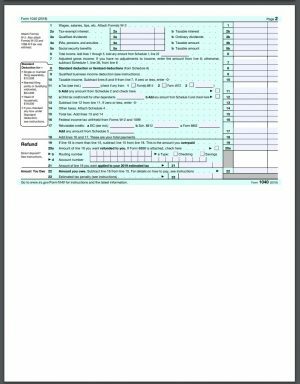 You can take the standard deduction amount for 2014, without having to fill out any additional forms, or keep any receipts or documentation. That standard deduction amount is one of many IRS numbers that are indexed for inflation. 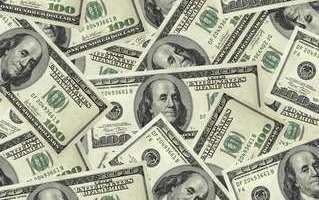 That is, these numbers fluctuate every year based upon IRS calculations so as to stay constant in terms of real dollars. The standard tax deduction for 2014 rose slightly from the 2013 standard tax deduction amounts for the previous year. Remember, the 2014 standard tax deduction amount is used for taxes computed for 2014, which are the ones you must file by April, 2015. Standard Deduction Amount for Singles – If your filing status is single, the current standard deduction amount is $6,200. That is up from a standard tax deduction amount of $6,100 for 2013. Standard Deduction Amount for Joint Filers – If you tax filing status is married filing jointly, the standard deduction for this year is $12,400. The previous tax year’s standard deduction for joint filers was $12,200. If you do not take the standard tax deduction, you may still get to claim a standard amount as a “personal exemption.” The 2014 personal exemption amount is $3,950. The personal exemption phases out for high income tax payers. Starting at $254,200, the personal exemption is reduced for single filers, and is phased out completely at $376,700. For married tax payers, the phaseout begins at $305,050 for 2014, and is phased out completely at $427,500. Some of the other tax numbers that are adjusted by the IRS every year were changes as well for 2014. The gift tax exclusion is unchanged at $14,000 for 2014. The AMT exemption amount for 2014 is $52,800 for singles, and $82,100 for married filing jointly. This is up from $51,900 and $80,800 for the previous tax year. Estate Tax basic exclusion amount for 2014 is $5,340,000 for estates of decadents who die during 2014. This information is for tax year 2012. For the 2016 standard tax deduction information, click ahead. The standard tax deduction allowed for Americans is set each year in late October. The standard deduction is indexed for inflation, so it can increase or decrease in a given year depending upon how the cost of living index changes over time. The 2012 standard deduction is the amount that taxpayers will use to file their taxes before April 15, 2013. For taxes to be filed before April 15, 2012, taxpayers need to use the standard deduction 2011 amount set in the fall of 2010. The amount of the standard deduction for 2012 for taxpayers who are married filing jointly is $11,900. This amount is up $300 from the 2011 standard deduction amount of $11,600. For taxpayers who are filing single, or who are married filing separately, the 2012 standard deduction is $5,950 which is an increase of $150. For those taxpayers who file as head of household, the standard deduction in 2012 is $8,700. Various other tax credits and income tax deductions are also indexed for inflation. For the 2012 tax year, the maximum earned income tax credit, or EITC, increased to $5,891, which is up form the 2011 maximum of $5,751. Accordingly, the maximum income limit for the EITC increased from $49,078 in 2011 to $50,270 in 2012. The IRS permits tax-free gifts to any persons up to a certain limit each year. The annual gift limit is per person, so a couple who is married filing jointly can actually give double the amount of the IRS gift limit each year. Additionally, when giving to a married couple that files jointly, each spouse can receive the full gift amount. For parents looking to give a tax-free annual gift to their married children, that means that a full four times the amount of the limit can be given tax-free. The 2012 gift limit is $13,000. The annual gift exclusion is unchanged from 2011. Therefore, a married couple can give $26,000 to a single person, or a full $52,000 to another married couple without triggering gift taxes or any estate tax issues. Speaking of estate taxes, the 2012 estate tax exclusion is $5,120,00. That is an increase from the estate tax deduction in 2011 of $5 million. Although the IRS releases updated tax numbers, deduction amounts and tax credit eligibility throughout the year, the release of widespread numbers like new 2012 tax brackets and other widely claimed tax deductions happens in October of the previous year to allow for official publication of IRS manuals and rules to be completed in time for the start of the tax filing season on January 1st of the following year. You can subscribe to emails from the IRS or just check the Internal Revenue Service website in late October or early February each year.